Jurgen Klopp has challenged Liverpool fans to make Anfield a move intimidating venue this season. He says the new Main Stand, which takes the ground’s capacity from 45,000 to 54,000, will not help unless those in the seats rise to the challenge. “Having more in the stadium doesn’t automatically mean that it will be better,” he said (via Echo). He went on to praise some of the atmospheres in the Europa League last season. However, with no European football this term, he’s demanding that the noise be carried into Premier League games instead. “Of course Anfield is special on European nights but if we wait now for the best atmosphere until the next time we play in Europe then we’ll be waiting for one year. The games against Man Utd, Dortmund, and Villarreal were memorable occasions, with fans lining the streets hours before kick to welcome the players to the stadium. “The last 30 minutes against Dortmund showed the whole world what a crowd can make possible. 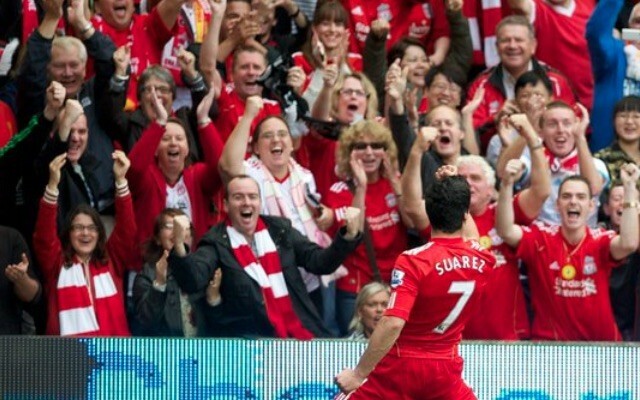 That was really outstanding – one of the best atmospheres there has ever been in football,” concluded the boss. The first home game of the season is against Leicester City on 10th September.